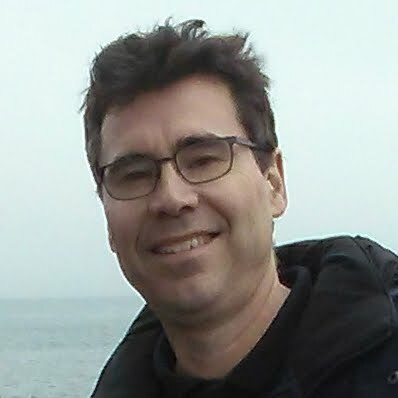 As a freelance journalist my writing has appeared in The New York Times, The Economist, The Wall Street Journal, The Boston Globe and other publications. Topics have included emerging technologies, government, privacy, education and the arts. 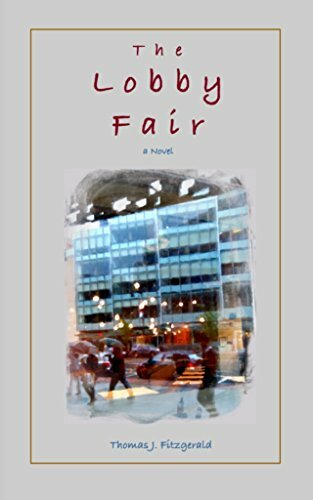 My latest novel, The Lobby Fair, is the story Gina Deegan, a single mother coping after the loss of her job. The book is set in the Seaport area of Boston and it takes place at the tail end of the Great Recession. My next novel is one of a different kind and I'm aiming to have it finished by early 2019. I'm always interested in news tips and learning about interesting story ideas. I live in the Boston area and can be reached via the Contact link below. Recently I was in the town of Concord, Massachusetts. Browsing in a local bookstore, I came across the “Local Authors” shelf. I couldn’t help but take note. Among the rows were books from Emerson, Thoreau, Hawthorne and Alcott. 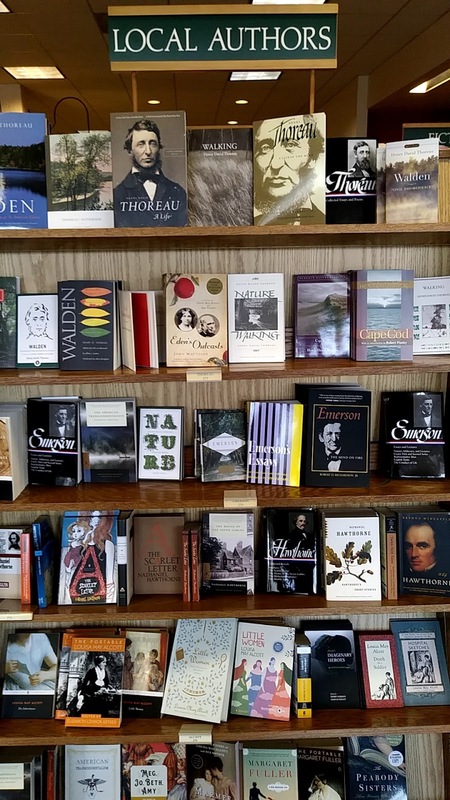 The books, shown in the photo I took while there, included Thoreau’s Walden, Hawthorne’s The Scarlett Letter, Alcott’s Little Women and Emerson’s Nature. Doris Kearns Goodwin, the historian, is a local author as well, though at first glance I didn’t spot any of her books. Taken together, that’s quite a list of authors for one town. When I first heard the music of Muzio Clementi I was hooked. Clementi composed and played during the time of Mozart and many of his pieces have a "Mozart-like" quality. 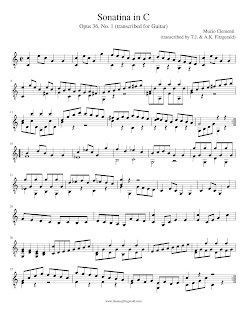 As a guitarist, I wondered how Clementi's piano sonatinas would sound on guitar. 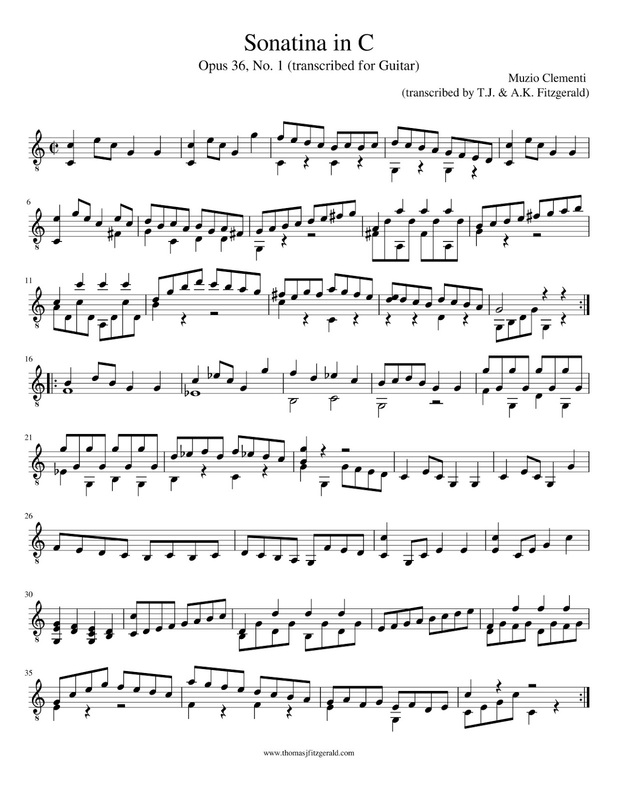 With my daughter's help we transcribed the first movement of Sonatina No. 1 (Opus 36 ) to sheet music for guitar. Here below it is for anyone to download, share and enjoy.